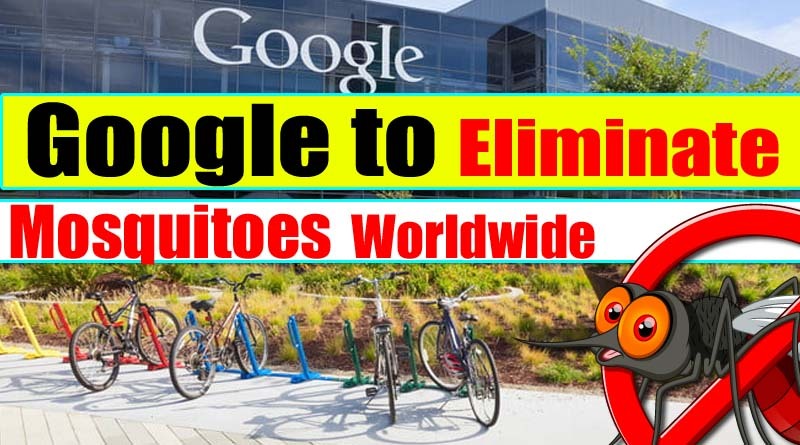 Jacob Crawford, a senior scientist at Alphabet the parent company of Google inc. describing how they are planing this Worldwide Mosquitoes elimination program with a dazzling possibility and potentials. Silicon valley researchers are planing to attack these tiny blood sucker creature to eradicate mosquitoes born epidemic worldwide. Alphabet scientist and researchers are planning to modify the male mosquito genes in order to eradicate diseases like malaria, Dengue, etc. from the planet. In order to fight this mosquito attack, researchers at Google Alphabet have created a genetically doctored male mosquitoes called “vermin”. These vermin are are bred with automated mosquito rearing system at South San Francisco. A common Wolbachia was used to treat 90,000 male mosquitoes with Wolbachia, a common bacterium. When these mutated males mosquitoes mate with female in the wild, it will result a mass stealth annihilation, casing the offspring barren. Mosquitoes spread diseases is a serous concern to the world. According to a survey the average death caused by mosquitoes and epidemic spread by mosquitoes claims more death as compared to any other diseases. In the arid climate of California’s Central Valley, A. aegypti are detested for their vicious bite. But there, at least, they don’t typically transmit disease. Other places aren’t so lucky. The mosquito species is among the world’s deadliest, spreading diseases such as dengue fever and chikungunya in the tropics and subtropics. The diseases its bite carries kill tens of thousands of people every year and infect millions more. Releasing Wolbachia-infected mosquitoes into the wild may eventually wipe out entire populations of deadly mosquitoes and the diseases they carry.